Siemens has been a trusted brand in the hearing healthcare market for more than 100 years. Now owned by the Sivantos group, they remain committed to innovative hearing technology in a complete product line to meet every preference and need. 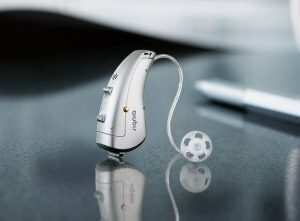 Sivantos has kept the well-respected Siemens brand name for many of the hearing aids they manufacture, but they have also recently introduced a new brand called Signia. The flagship family of Signia products is built on an innovative new platform called Primax which features many forward-thinking technologies. The newest Signia hearing aids are available in a traditional behind-the-ear (BTE) style, two discreet receiver-in-the-canal (RIC) styles and a full line of custom, or in-the-ear (ITE) styles to suit every hearing loss and cosmetic preference. Each style is available in three different performance levels to suit every budget. 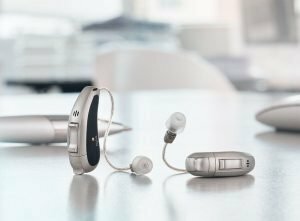 Signia has recently introduced TeleCare 3.0, a unique feature that allows your hearing care professional to better assist you remotely and without extra visits to the office. TeleCare 3.0 allows your provider to check the status of your instruments through their computer and even make adjustments remotely. Signia’s latest product line, denoted by Nx, includes products like the rechargeable Pure Charge&Go Nx, Pure 312 Nx and Motion 13 Nx. Hearing aid wearers sometimes do not acclimate well to the sound of their own voices through hearing aids. Signia’s new products feature a special algorithm called OVPTM (Own Voice Processing) to provide a more natural sound and increase acceptance. Pure RIC and Motion BTE offer the option for an environmentally-responsible rechargeable battery to eliminate daily battery hassles. It’s perfect for patients with dexterity challenges or those who have trouble seeing and changing tiny batteries. Sivantos is committed to helping people with tinnitus better manage the condition. Many of their hearing aids, including all of the new products, feature programmable tinnitus therapy sounds and tinnitus notch therapy to help wearers mask or habituate to the tinnitus. Your hearing care professional can help determine the best settings for you. Siemens has a long history of innovation in healthcare and their hearing aid legacy is impressive. Prior to the development of their current product lines, Siemens gained the loyalty of hearing care professionals and fit many satisfied hearing aid wearers with these digital products: Prisma, Signia, Triano, and Micon. In addition to a technologically advanced selection of hearing aids, Sivantos also offers assistive listening devices and accessories to improve the wearer’s experience. The touchControl App, compatible with all Signia models, allows easy and discreet adjustments to hearing aids using your smartphone. If you prefer a more traditional remote control, the easyPocket remote control pairs with almost all current hearing aid models. 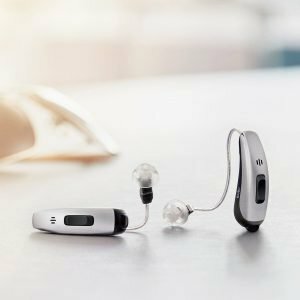 Because today’s busy hearing aid wearers interface with a variety of ancillary devices, all Signia models offer the option to stream high-quality audio from TVs, MP3 players, mobile phones and personal computers directly to your hearing aids. Sivantos offers the easyTek as a streamer for effortless connectivity on the go. For eco-minded patients or those interested in eliminating the daily hassles of changing hearing aid batteries, the eCharger device can be used for easy charging of select Siemens and Signia hearing aids. The eCharger also helps improve hearing aid performance and reliability by automatically removing harmful moisture from your devices as they charge overnight. We hope this information about Siemens and Signia hearing aids was helpful for you. If you are seeking the right hearing solution for yourself or someone you care about, check out our extensive directory of consumer-reviewed hearing healthcare professionals and make the call today.